Echinacea plant, Echinacea purpurea, is also known as Purple Coneflower. Echinacea is well known for the immune building and antibiotic properties of the root. Approved by German Commission E as a remedy burns, bronchitis, colds, coughs, immune system support, sore throats, urinary tract infections and wounds. 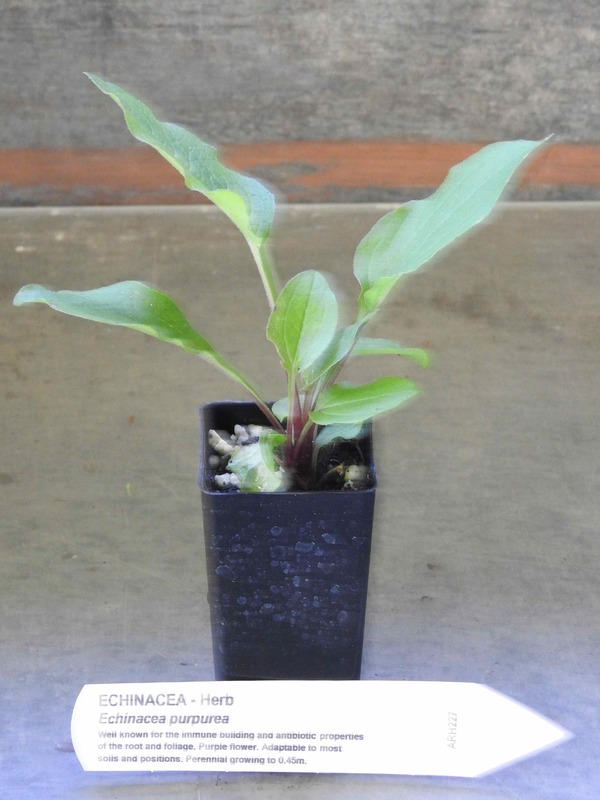 Echinacea plant is native to America and prefers deep rich loam in an open sunny position. Frost resistant but drought tender. Perennial plant growing to 2m x 1m. Be the first to review “Echinacea purpurea, plant” Click here to cancel reply.